Not long before President Lincoln attended the play at Ford's Theatre, on the 14th of April 1865, he was sworn-in at his second inaugural. His plan was to "bind up the nation's wounds" as soon as the "War between the States" was over. Historians tell us that Lincoln's second inauguration marked the first time that African-Americans marched in the Inaugural-Day parade. Image online via the Library of Congress. The President and First Lady were late for the April 14, 1865 evening performance of Our American Cousin starring the popular actress, Laura Keene. It had been a busy day for Mr. Lincoln. I hope there will be no persecution, no bloody work after the war is over. No one need expect me to take part in hanging or killing those men, even the worst of them. Frighten them out of the country, open the gates, let down the bars, scare them off, enough lives have been sacrificed. We must extinguish our resentment if we expect harmony and union. (W. Emerson Reck, Abraham Lincoln, His Last 24 Hours, at page 37). General Grant had planned to attend the play that night. When he was unable to make it, Mrs. Lincoln invited another couple: 28-year-old Major Henry Reed Rathbone and his fiancé, Clara Harris. 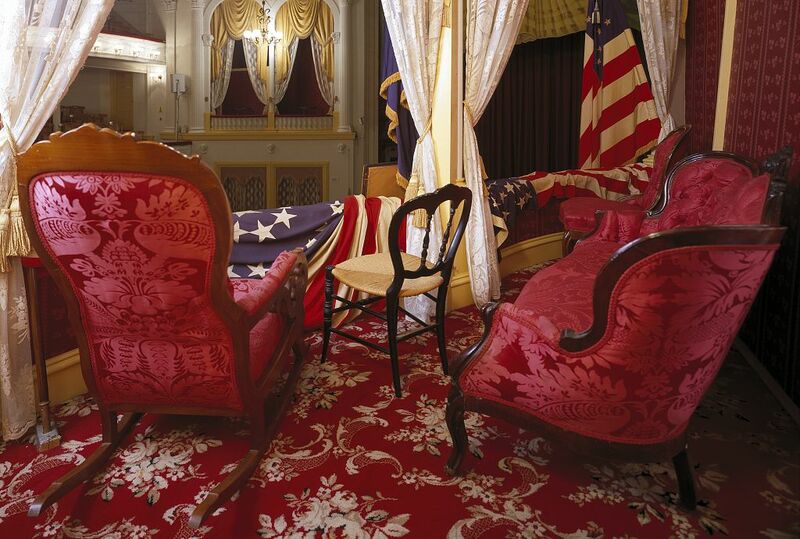 The performance had already begun as the President (who wore his trademark top hat to Ford’s Theatre) took his seat in a red rocking chair in the presidential box. Shortly after 10 P.M., John Wilkes Booth entered the President’s box, derringer in hand. As an actor who had performed on stage at Ford’s Theater, Booth knew the place well. This time, however, he came to play a different role. Bos, Carole "THE WORST" AwesomeStories.com. Mar 01, 2002. Apr 23, 2019. How Does Resentment Fuel Disharmony and Disunity? Laura Keene - Star of "Our American Cousin"